Reliance has launched yet another smartphone under its brand Lyf. 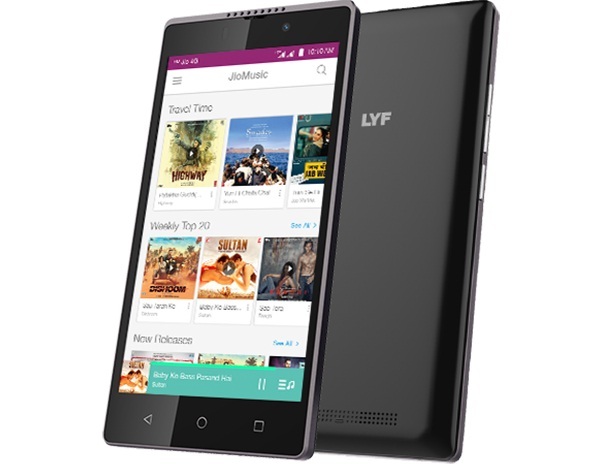 The phone is named as Lyf Wind 7i and it is priced at Rs. 4,999. It can be seen as a toned down version of the earlier launched Lyf Wind 7, that is priced at Rs. 6,999. But, Lyf Wind 7i runs on the latest Android Marshmallow 6.0.1, while the latter was equipped with Android Lollipop 5.1. 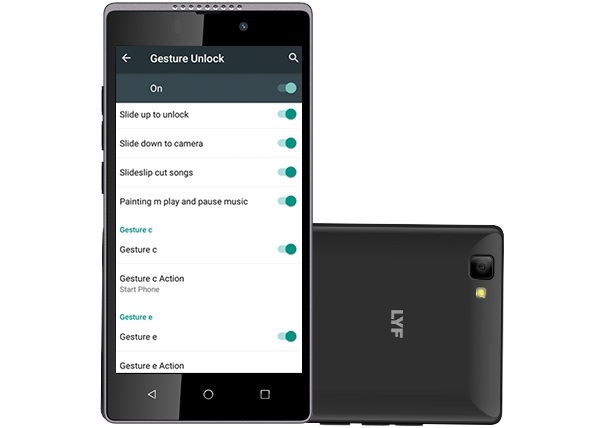 Let us now take a look at the complete specifications of Lyf Wind 7i. The phone features a 5 inch IPS LCD display with a screen resolution of 720 x 1280 pixels (HD) and pixel density of 294 ppi. It is powered by a 1.3 GHz Quad-core processor with Qualcomm Snapdragon 210 MSM8909 chipset and Adreno 304 GPU. It has 1 GB RAM and 8 GB of internal storage which is expandable upto 128 GB. Operating system is Android 6.0.1 Marshmallow. Talking about the camera, it is equipped with a 8 MP primary camera with LED flash. It supports 720p recording @ 30 fps. On the front it has a 5 MP shooter. Both front and rear have Digital Zoom up to 6X. Other features include Auto Frame Rate, Red Eye Reduction, Continuous Auto Focus, Video HDR supported in code, Smile Detection, Gaze detection, Blink Detection and Panorama. Connectivity options include Wi-Fi 802.11 b/g/n, Bluetooth v4.0, GPS, USB v2.0, USB OTG, GPRS, EDGE, 2G, 3G and 4G with VoLTE. Both SIM slots are 4G enabled, but at one time only one slot can be used for 4G while the other will work on 2G. This dual SIM smartphone is backed by a 2250 mAh Li-ion battery that is claimed to give upto 9 hours of talktime (4G). It weighs around 156 grams and its dimensions are 143.5mm x 72mm x 8.7mm. Sensors on the phone include Light Sensor, Accelerometer and Proximity Sensor. Lyf Wind 7i is priced at Rs. 4,999 and most probably it will be available exclusively on offline stores of Reliance in Black and Blue colour options.